Wow. This book was unlike anything I’ve ever read and just downright good from cover to cover. 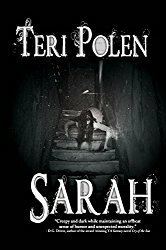 A mix of horror, fantasy, comedy, and romance – it has a little something for everyone. I loved Dimitri’s voice. The way he looked at life, others, himself – I could completely identify with him and he had me laughing more than once. The guy loses both his parents in a car accident, is writing a subpar Rasputin zombie novel, writes obituaries for a living and wakes up in a morgue – you’ve really got to maintain a sense of humor to get through all that. The intriguing mystery with Aspinwall Mansion, the female spirit, old books, family connections and the gradual reveal were done well, with some twists and surprises along the way. As far as characters, you loved some and hated others and to me, that’s great character development to provoke those feelings in a reader. A fast-paced novel, loveable (and unloveable) characters, supernatural elements, suspense, with some humor and a little romance thrown in – what’s not to like? As a warning, there were some dark moments that may not be for the faint of heart. 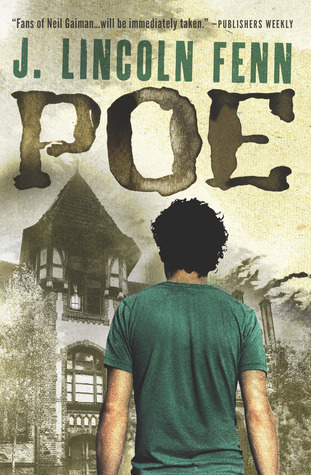 I’m not surprised at all that Poe was the 2013 Winner — Amazon Breakthrough Novel Award — Science Fiction, Fantasy, Horror. I’ll be looking for other books by this author. This looks good. Thanks for the recommendation! You won’t be disappointed – highly recommend it. I keep hearing a lot about this book. Everywhere I turn I read high recommendation for it. This is obviously an exceptional book. Why haven’t I read it yet? I must get on to that. Great review. Thanks, Julian! 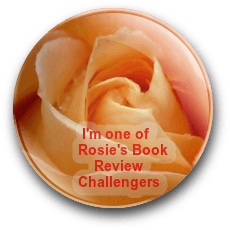 This does seem to be the ‘book of the moment’, doesn’t it? The reviews I’ve seen are about 95% good – guess that says something. Saw on Goodreads you put it on your list. Doesn’t suprise me a bit that you liked it, Bradley. We seem to have the same taste in books. Great review! Got my morning eyes open and goosebumps running down my arms. Not sure it’s one I’ll read yet, but you’ve pricked my reader’s interest.